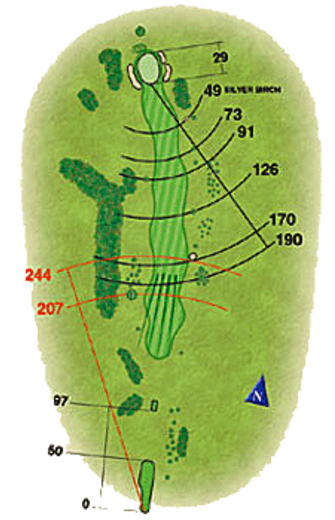 A strong par 4 playing all of its length. A well positioned fairway bunker needs to be avoided. The semi blind approach must carry a bunker just short of the green. Two good shots could harvest a birdie on this fairly flat putting surface.